Now Hiring Locksmiths - Realty Rekey Lowest Cost Locksmith Guaranteed!Realty Rekey Lowest Cost Locksmith Guaranteed! Thank you for your interest in our company. Realty Rekey LLC is a national locksmith company, based in Mesa Arizona. We work with local locksmiths in each of our numerous markets in order to get jobs done efficiently and professionally. If you want to come aboard please fill out our online application form and we will get you all the information you need to join our team. This includes access to our Online Training Academy and access to Locksmith Tools at Cost. 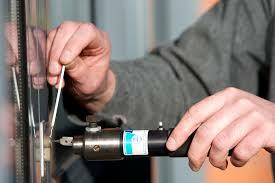 To provide reliable locksmith service nationwide and make locksmiths trusted and affordable again. We are the happy, tech savvy locksmith who helps families get in touch with their home and business security. We want to be the Uber of Locksmithing. We provide a complete locksmith training program with all the tools and online training necessary to rekey residential and commercial locks on day one! Everything is invoiced through us. 50/50 for original call 100% on upsells. 20% profit if Realty Rekey supplies parts. Direct Deposit weekly 2 weeks back. Receive your jobs from a cloud based dispatch app on your smartphone. This keeps track of all jobs done and what you are owed so there is never a question. We work with National Property Management Companies, Realtors, Apartment Complexes & National Home Warranty Companies to get big contracts. We would need your help with locksmith work as well as meetings with new clients. We are striving to secure all 50 states and cannot do it without well trained highly motivated locksmiths. Once on our list of available locksmiths in the area we will work our hardest to supply you with a steady flow of jobs. We encourage you to advertise your services outside of us. Think of Realty Rekey as a significant source of weekly added income, working together with you to get as many jobs as possible.